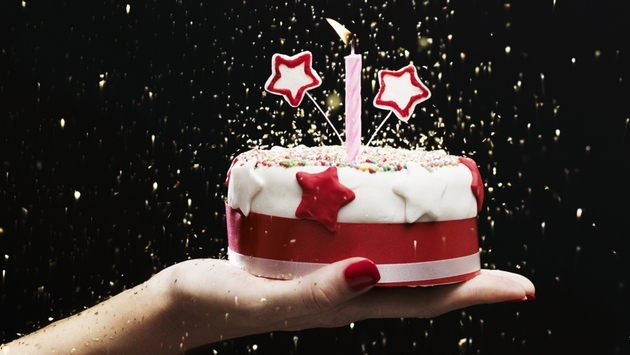 Birthdays; we all have them but how we choose to celebrate them varies around the world. Some of us ditch the icing layered cake for sprinkled bread and others wave their patriotism loud and proud. Each year doesn’t have to follow the same guidelines, especially when so many of the planet’s destinations have adopted their own unique way to send birthday wishes. 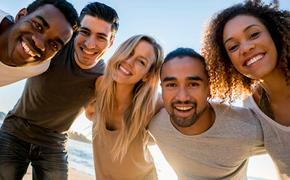 So before you ask your invited guests to RSVP via social or send a mass text to your close friends and family, get inspired by the following birthday traditions to create a day of international fun that will make your birthday the talk of the town and such a unique occassion they will never forget it. “It is time to cut the birthday cake,” the host of the party yells over the chattily party guests. And like a troop being called to duty, we scurry to the scene of action for rounds of singing “Happy Birthday” and “Hip Hip Hooray.” As we make our way to the birthday boy, and his delicious cake illuminated by a few candles revealing his young age, one noticeable difference becomes clear. Instead of a chocolate of vanilla tiered cake, we are treated to slices of bread perfectly cut in triangles that have been smeared with butter and covered in sprinkles. This traditional Australian birthday treat is called fairy bread, and it is typically eaten during birthday parties held for kids. Sometimes sprinkles are replaced with nonpareils, also known as hundreds and thousands, which are colorful balls of sugar. To eat this birthday food Australian style, you’ll want to lick the sprinkles off first as though you are eating a cupcake, and stick it to your skin to see the colorful pattern it creates. Thinking about heading to Vietnam for a huge birthday bash? Well think again, unless your birthday takes place on New Year’s Day. Individual birthday celebrations are commonly overlooked, but not entirely because the whole county comes together for one huge bash during the three-day Tet Festival. To the western spectator, it seems like Thanksgiving, Christmas as well New Year’s Eve have exploded throughout Vietnam as the aromas of traditional foods pour through the atmosphere and gifts are shared between loved ones. Religion is also presented with beautifully decked-out alters donned with flowers and family pictures. And the streets transform into a massive party as dragon dances and gamblers compete for good luck before it is finally topped with fireworks. From friends and families to complete strangers, the Tet Festival may very well be one of the best places to celebrate your birthday because the residents of Vietnam will be reveling right along with you. Looking to ditch your originally birthday plans for something a little more different? Then you might want to adopt Chinese-style traditions to receive a red envelope full of money and good luck as well as long noodles to slurp. From the moment a child is born it calls for a reason to celebrate with helpings of “longevity noodles,” which are extremely long and should not be cut regardless of how long it takes to eat them. If they are cut, it means the birthday girl or boy’s life will end abruptly. Gifts that hold significant meaning are also presented, including ginger and red dyed eggs in hopes of a life full of prosperity and happiness. However, giving a clock as a gift is a no-no because this timely gesture signifies death. Everyone wants to be treated like royalty on their special day. And thanks to Holland, specific ages that a person turns are deeply regarded as “crown” years. But before you expect your friends and family to wait on you hand and foot while ordering them around like a king or queen from your throne, it is the birthdays of: five, 10, 15, 20 and 21 that are considered the best years of a person’s life. You’ll be expected to take your seat on a chair, which will be decorated with flowers, streamers and other festive ornaments at the dining table. During the celebration, a substantially large present is given to symbolize the importance of this new age. The Swedish take their birthday celebrations seriously, especially since patriotism is incorporated into the celebrations. However, it is children that experience the most joy on their birthdays because from the moment they awake they are celebrated through special rituals. Traditionally kids are woken by the voices of their parents singing age-old tunes while serving them breakfast in bed, which at times to their delight may be a cake. Even strangers passing by the home of the birthday child are aware that a celebration is occurring by the raised Swedish flag displayed in front of the house. Although the older one gets, the less attention is given to birthdays, when locals reach the millstone ages of 30, 40 and 50 they are expected to host a huge party where singing and even cabaret comes into play. Better limber up if you plan on celebrating your birthday in Ireland, because you're going to spend your day dodging birthday slaps from friends. In Ireland, good fortune is granted with a bump or two on the head depending on how old the person is. In good-old Irish fashion when a loved one’s birthday comes around, customarily they are dangled from their feet and are given a slight thud on the head for a prosperous year ahead. Although this ritual is mainly performed on children, acquiring a bit of luck is not necessarily a bad thing even if you have to hang upside-down and suffer a blow in the process. Just think of all the fortune that may be coming your way; after all, the older you are the more bumps are required. It is the age that many adolescents dream of turning and those who have lived through the teenage years wish to recapture. The ripe age of 18 is filled with promise while indicating independence as youths are forced to face the real world. So why not go out with a bang and celebrate the coming-of-age like the Filipinos? The Debut is a ceremonial tradition where the debutante or “female beginner” stylishly steps out into the world with the company of nine males and nine females. Upon entrance into the party, a series of dances takes place, including the Grand Cotillion Dance (waltz) as well as the “Father and Daughter Dance.” The “18 Roses Dance” is also a huge part of the ceremony where 18 males present the lady of the hour with a rose and dance with her. Speeches are given by the debutant’s female friends who then light 18 candles in her honor. Followed by the 18 white roses tradition, which signify those who are no longer in her life. Intermixed with music, great food and fireworks, this celebration might just be sweeter than becoming 16. The Quinceanera is a coming-out party that is well-received throughout Latin America, especially in Argentina when turning 15 marks the transformation to adulthood. The birthday girl wears a beautiful dress and just like the Philippines’ Debut, she sashays across the room by dancing the waltz. Joined by other traditions like the “Father and Daughter Dance,” the pulling ribbon ritual, making a toast in her honor and the cutting of the cake, every detail meticulous conveys the proud Argentinean heritage. And that’s not all the Quinceanera has in store. The birthday girl is also showered with lovely speeches in addition to the “Tree of Life” Ceremony where she gives 15 of her closest female family and friends candles, which symbolizes the special place they hold in her heart.